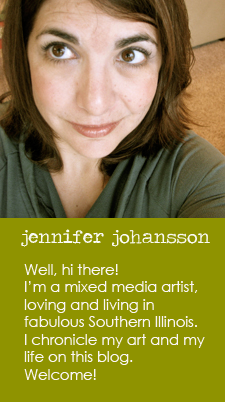 Jen and Ink: Matt's at Artscene! This weekend, Matt (my husband-to-be) has his very first solo art show! 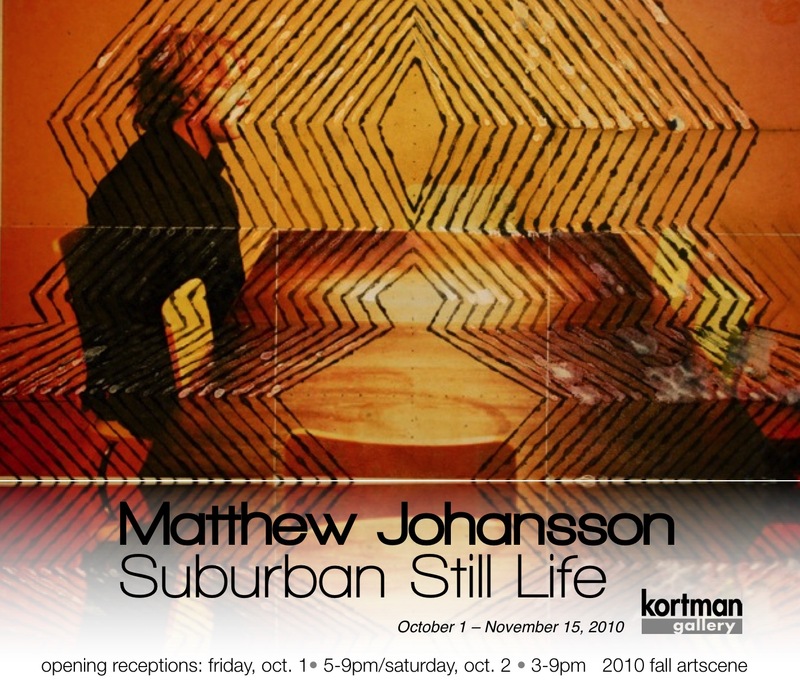 Featuring 9 new pieces, "Suburban Still-Life" opens Friday, October 1st at JR Kortman Gallery. This weekend Matt and I took all the work over to Kortman's and helped gallery director Doc Slafkosky hang the show. Matt's hard work over the last few months has paid off, as the art looks fabulous in the space. Now, this is not your grandmother's art show. Some of the pieces are provocative and in your face but not vulgar or graphic. If you can handle "Victor", whom Matt is posing next to, you can handle the rest of the show. The opening of this show corresponds with the city wide Fall Artscene event. There will be art on display and for purchase at 41 venues around town. This is a totally free event! As many of you know, Matt and I met at Artscene last year, when we were both exhibiting art at WallBlank Gallery. We're hoping to have as much fun this year as we did last! All of the Artscene venues will be open on Friday, October 1st from 5-9 pm and on Saturday, October 2nd from 3-9 pm. 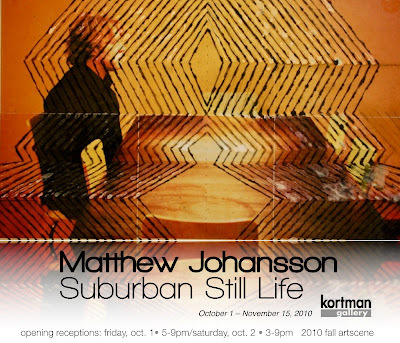 If you can't make it out this weekend, "Suburban Still Life" will be on display during regular Kortman's store hours (M-Sat 10-6) until November 15th. Kortman's is located in downtown Rockford at 107 N Main St, just across the street from Octane. Congratulations on his first show - how exciting! Congratulations also on your upcoming nuptials! Did I miss that you were getting married? My wedding was so long ago - I barely remember that day but my husband of 15 years is still here and is as awesome as ever! I am super lucky! Thanks for stopping by my blog today. This is so exciting for you and Matt. I hope the show is awesome!